Remember when I told you I was going to be chatting fashion at the Northern Virginia Magazine kick off Fashion NoVA event? 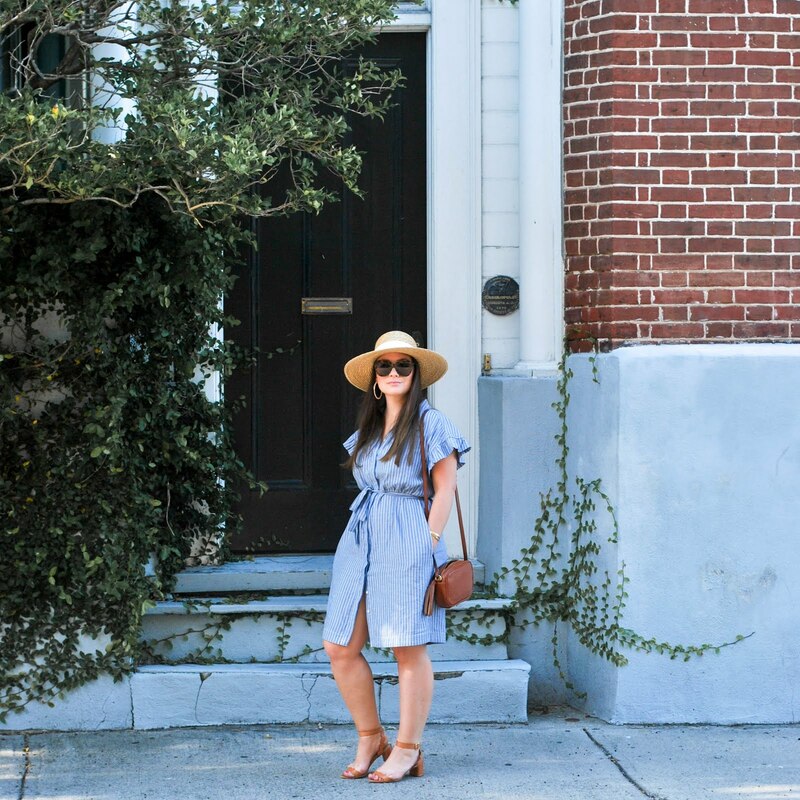 Well this is what I wore (please excuse the flat hair and wrinkles in my dress we were sitting in the sun and I did sweat a bit...totally because of the heat and not at all because I was super nervous to get up in front of a crowd of people and speak, I swear..). I also took over the Fairfax Corner instagram account for the day, so if you would like to see some pictures from the event, mosey on over to their FB page and check out this album. I highly suggest you come out to the next event this Saturday at Pentagon City! It really proved to be a fantastically fun day! Love the black and white combination with pops of colors. You look fantastic. Love the print with those shoes. Had to order this dress! Looks amazing on you! 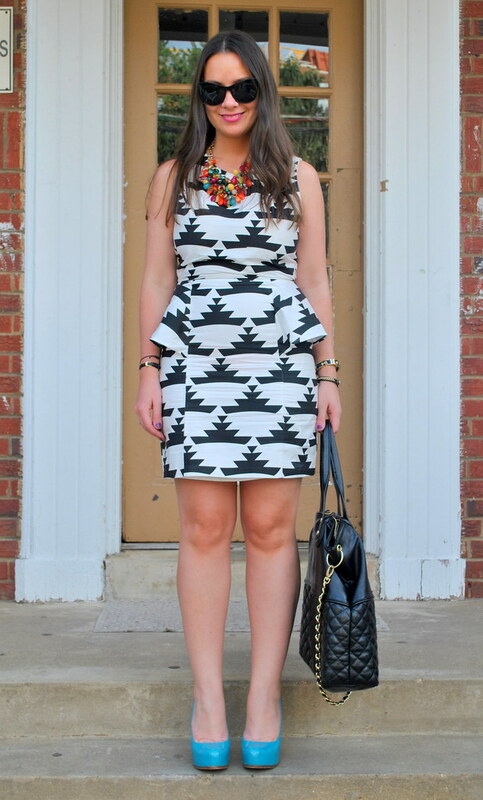 Love the burst of color the necklace and shoes bring to the look but the B&W print of that dress is swoon-worthy!! Love it! 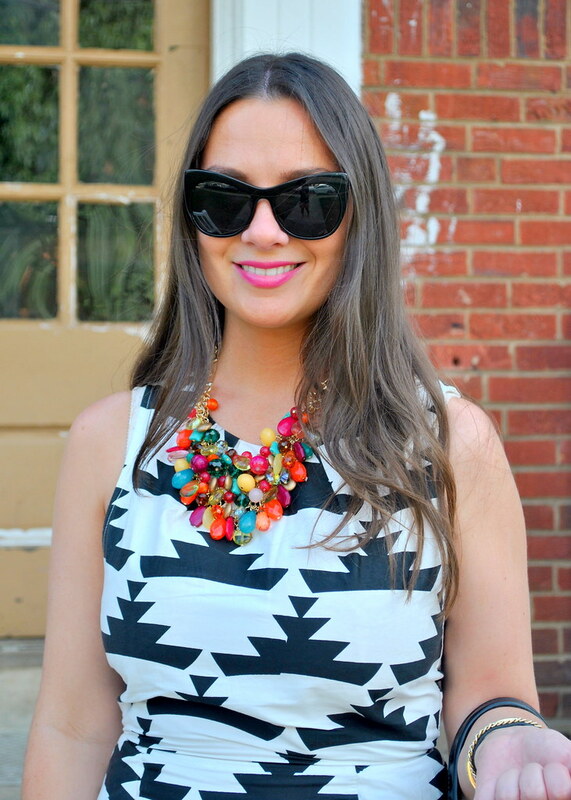 I love "popping" my black and white outfits with bold color. What you're rocking here is perfect! side peplums for the win! You are gorgeous, & what a fun sounding event!